Prior to his graduate studies, Steve completed his undergraduate work in psychology at the University of Alberta and obtained a Graduate Diploma in Counselling while living in Queensland, Australia. His Master is in Marital and Family Therapy from Loma Linda University. Based on this thorough and intensive systemic training, he works as a psychologist with individuals, couples, and families. From various professional positions even prior to having met the province's criteria as a formally recognized psychologist, he has been meeting with families in crisis and providing intervention on their behalf since 1994. He has substantial experience working at and supervising group homes housing troubled teens for a variety of Edmonton area service providers. He is therefore comfortable and confident when working with volatile adolescents or children that present angrily in session. Steve had up until recently been seeing clients as a psychologist in a full time capacity at Cornerstone Counselling Centre, a not for-profit Edmonton community agency. As of 2008, however, he had been providing therapy as a managing partner at the Lousage Institute where he continued to build a thriving full-time private practice. The Lousage Institute was established in 1986 based on a commitment to reach out to the community and provide sound family systems therapy, and continues today to offer a variety of quality specialized psychological services. 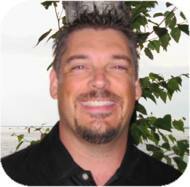 Most recently, Steve became a managing partner at the Edmonton Psychological Group. Steve believes that clients’ vast lived experiences contribute to beliefs they hold about themselves and in turn, the roles they play in life. These impressions – positive or negative – affect further thoughts, feelings, and behaviours, and are often maintained by various systemic factors such as family of origin themes. Collaboratively, he helps clients evaluate the legitimacy and usefulness of distressing "stories" that present in their lives, encourages new awareness of societal or extended family influences, and facilitates the exploration of new solutions whereby troublesome problems can be disempowered. In private practice, Steve maintains a variety of employment assistance plan contacts, both through his own established rapports and through contracts held at the Lousage Institute. As he is a registered psychologist, clients are reimbursed whatever portion of sessions their respective benefits provider allows. Steve welcomes contact to discuss any questions prospective clients might have about his philosophy toward people-helping, the number of or frequency of sessions, or further queries that facilitate comfort or confidence in the consumer. He resides in Edmonton with his lovely wife, Lisa, and enjoys reading, cites golf and scuba diving as top hobbies, and loves to travel to warm destinations.